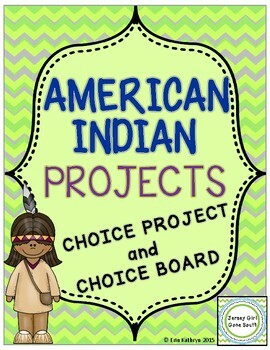 These American Indian choice projects include 2 different project options. 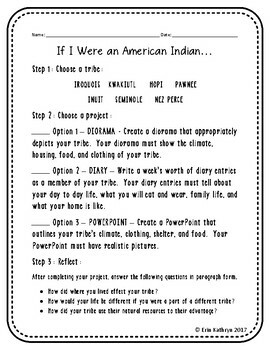 Choice Project - The choice project gives students 3 different options: a diorama, a diary, or a PowerPoint project. The students are given the creative freedom to choose their project and how they detail the required information. 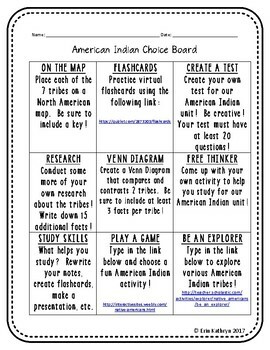 Choice Board - The choice board gives students 9 different activities to complete at their leisure. For example, online activities, flash cards, creating a test. 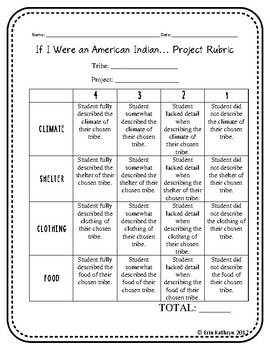 Both of these projects can be tailored to fit the needs of your students. They are a great way to differentiate learning!